Following public outrage, Zoran Zaev went on TV on Friday evening to promise that parts of the Culture Ministry program for 2019 will be withdrawn and funding priorities re-assessed. The Ministry, led by Asaf Ademi from the ethnic Albanian BESA party, cut funding for some of the best known cultural events in Macedonia, and particularly for Macedonian cultural events, and diverted them to promotion of Albanian culture and to majority Albanian cities. The decision will be withdrawn and it will be published again. 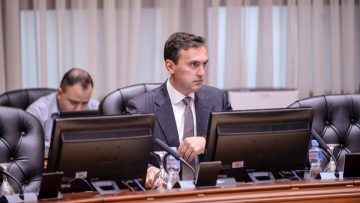 The law allows that we can transparently listen to the citizens who reacted, but there are arguments on the side of the Culture Ministry as well, Zaev said. He accused some of the cultural institutions whose funding was cut of failing to submit requests in time, particularly singling out the Skopje Jazz Festival which has featured artists like Herbie Hancock, Dave Holland, Youssou N’Dour, Ray Charles and many others. Other festivals which saw full or partial cuts in their public funding are Off Fest and Taksirat, as well as legends like Vlatko Stefanovski and the Macedonian ethno group Synthesis. In their place, Ademi boosted funding for the Tetovo Jazz Festival, and announced a grand opera dedicated to the Albanian national hero Georg Kastrioti Skenderbeg which will be featured in the Macedonian Opera and Ballet on the Albanian independence day. The Ministry already gave funding to Vigan Maksuti, an underage singer who performs songs about Albanian UCK guerrilla commanders clad in a UCK uniform, and to the Ballisti – a nationalist group of football fans from Tetovo named after a World War Two Nazi collaborationist organization whose members recently attacked a cafe in Tetovo patroned by Macedonians. Ademi insisted that he did not influence the distribution of funds and did not order the large increase in funding for Albanian cultural events. I’m in constant communication with the members of the funding commission and the legal team and we will inform about our next steps. I would also point out that I promote the motto “culture for all”, without ethnic, political or religious prejudices, Ademi wrote on his Facebook account, where he also hinted that he would be willing to resign. The publication of the program prompted criticism even from some of Zaev’s usual supporters, such as director Zoja Buzalkovska, who resigned as member of a committee meant to provide Zaev culture advice, and actor Saso Tasevski. Actor Robert Veljanovski, who is a critic of the Zaev Government, said that the program is meant to help prop up Zaev’s coalition with ethnic Albanian parties, mainly DUI. There are serious indications of nepotism in the program, that money are being given to activists. The previous, VMRO-DPMNE Government, funded 1.593 events in 2017 and was accused of populism. What could we say about the SDSM – DUI program, which funds 2.650 projects?, Veljanovski said.